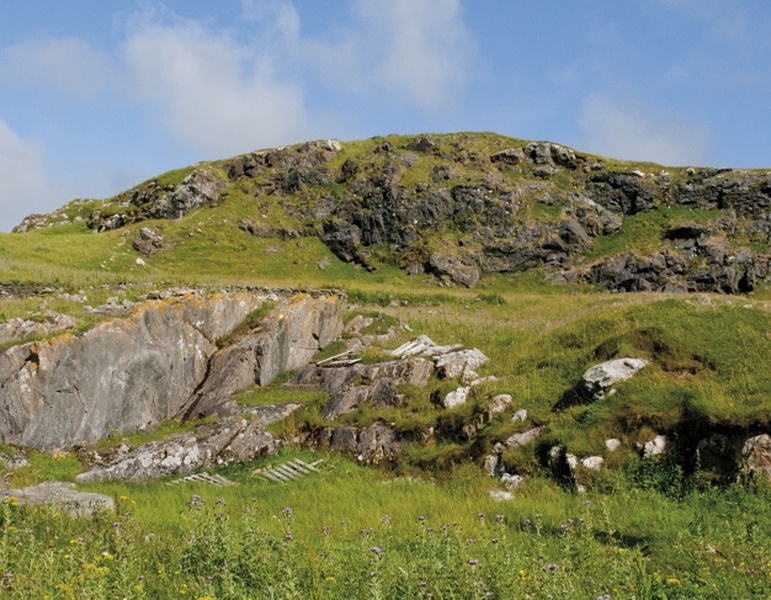 Dug into the hillside at the east end of Balephetrish are two quarries, one for rock that was used for building the airport runways back in the late 1930s, and the other for an attractive marble that can be pink or red-green. The first runway surface was unstable and sinking, and so had to be dug up and re-laid with stone from the quarry. 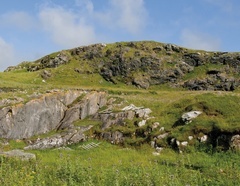 It was so successful that Balephetrish stone was used for other runways elsewhere. A rock from one of the quarries broke a window of the house at Hillcrest Farm during blasting. Inveraray Castle, home to the Duke of Argyll has a Tiree marble fireplace. If you look on the beaches nearby, you might find a marble pebble.